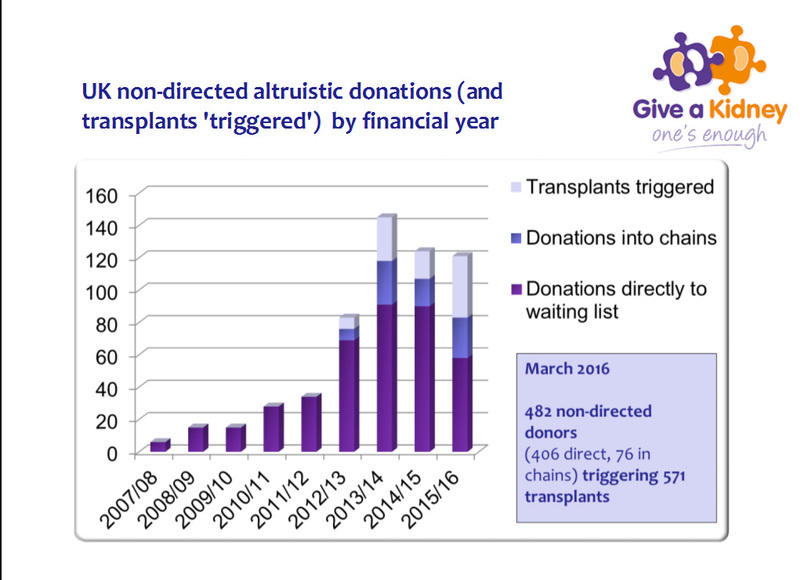 Another 9 non-directed (altruistic) kidney donations took place in the UK during March 2016 – making a total of 83 people people who donated in this way in the last financial year. 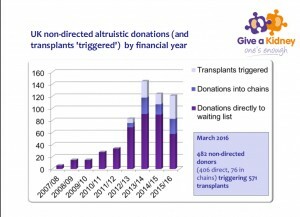 Although, disappointingly, this is a slightly lower number of donors than came forward in the previous two years, the great news is that because of those who donated into the sharing scheme (to create altruistic donor chains) a total of 121 transplants were made possible by these donors last year – so almost as many transplants as the previous year, despite the number of donors declining slightly. Big congratulations to all involved!